While we still love conversion app Units, this new tool from Weightbot developer Tapbots is nothing if not charming. The interface is stunning, although it's not the most efficient way of picking unit types and units themselves. 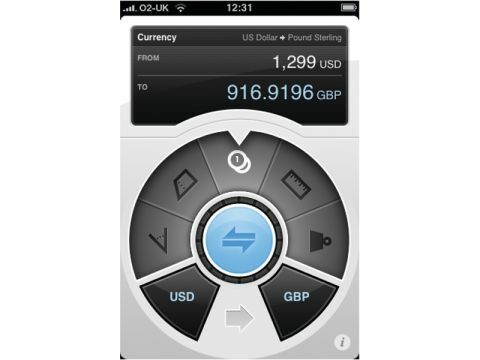 Regardless, it's pleasant to use; rotate the main dial to pick currency, weight, area or whatever, then tap to pick the from and to units; then enter the value you want to convert. However, we found some units weren't supported – you can't convert hectares, for instance, and the list of currencies is small. Still, these could be added later, and, in any case, most people should be satisfied with the supported units.